Back in the Swinging Sixties, when ‘peace and love’ was the slogan on everyone’s lips and The Beatles were taking the world by storm, a 20 acre patch of nothing more than ploughed farmland was being carefully and painstakingly transformed into one of the most beautiful sights of the decade, and into one of the most important landmarks of Spalding’s history. 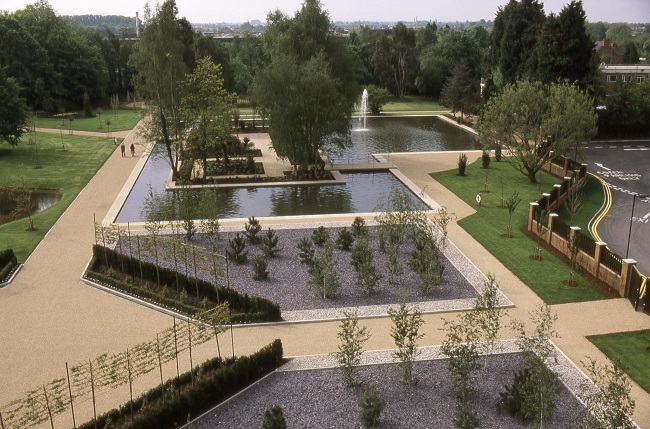 More than one million bulbs, 30,000 trees and two-and-a-half miles of road and pathway were blended with lawns, paved areas, shrubs, plants and a gorgeous lake to create the stunning show gardens named Springfields, found right in the heart of the British bulb industry – Spalding, Lincolnshire. 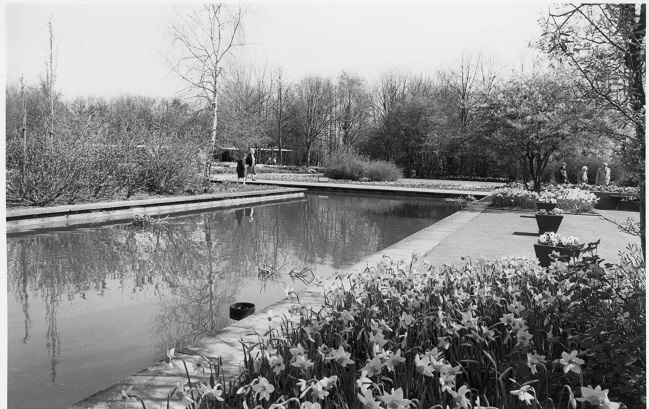 Opened on April 6, 1966, all were welcome to wonder at this dream which had become reality – a lasting garden displaying just what could be achieved using imagination and the wealth of bulbs which thrived in this colourful corner of the county. Entering this new world awash with blooms cost just a matter of shillings. Visitors from across the country and even further afield flocked to the garden, which also boasted a souvenir shop, photographic kiosk, garden centre, refreshment room and restaurant. Experts were always on hand to answer questions from visitors, many of whom had come for a wonderful day out, or were experts in the gardening and bulb fields and had come to learn more. They had certainly come to the right place. Alongside its role as a show garden, Springfields aimed to demonstrate the growth of many kinds of bulbs using varying techniques. Visitors were treated to more than 3,000 varieties of spring-flowering bulbs in the garden, while glasshouses were filled with over 300 types of tulips. Springfields also boasted 50 exhibition plots, used completely free of charge by growers, wholesalers and retailers to demonstrate to visitors the varieties, colours and durability of their bulbs and flowers. Collectors’ Corner was filled with more than 400 varieties of tulips, many of which were donated by the National Agricultural Advisory Service. Despite only being open for six to eight weeks in spring, in its first three years Springfields attracted almost 400,000 visitors. 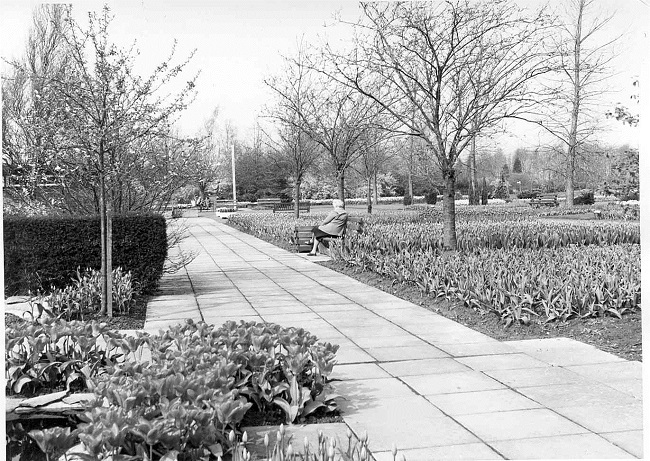 In such a short time, the glorious show garden had already established itself as a first class attraction, as important as the blooming tulip fields and annual Flower Parade (the first of which was held in 1959), just as its founders had hoped. There was no doubt Springfields was a hugely successful venture – but if it was not for the skills and commitment of its founding fathers, it may never have come into being. 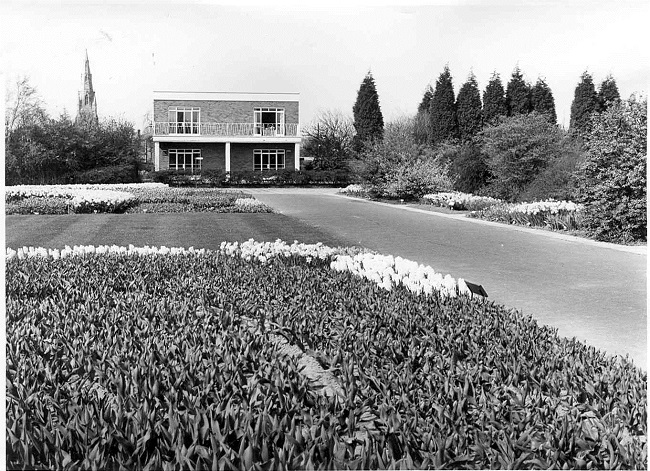 The Springfields site was found in the winter of 1963, having previously been used for arable farming. 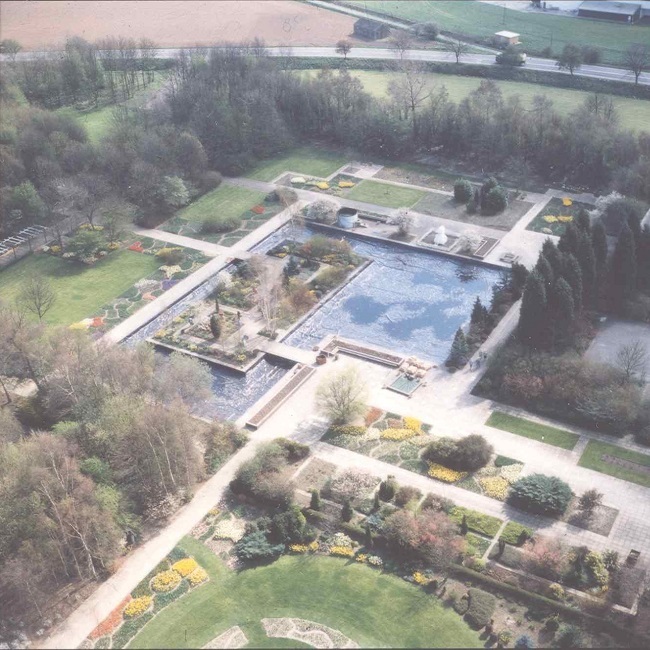 The Executive Committee of the South Holland (Lincolnshire) Horticultural Association invited esteemed landscape architect Mr Carl van Empelen to assess the site and following his approval, in January 1964 it was decided to bring the idea of a show garden to life. 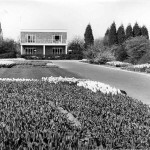 In April 1964 the Horticultural Association set up the company Publicity for British Bulbs Ltd, which became owner of the property and provided all items of capital equipment. Two years later the Springfields Horticultural Society Ltd was formed to manage the gardens and ensure they promoted gardening, horticulture and the growing of flowers from bulbs to all. The Society was registered as a charity in 1967. Initial estimates set the cost at £50,000 plus an additional £20,000 for buildings and glass. Alterations and increased labour and material prices sent the costs soaring to £80,000 for the initial development, plus £50,000 for buildings and glass. Such was the belief in the project, however, that the cost was met by a generous grant from the Agricultural Market Development Executive Committee, loans from growers and members of the industry and related trades, and gifts in cash and in kind. But one of the elements not under the founding fathers’ control became their worst enemy – the weather. 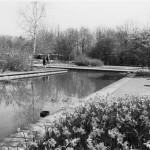 Work on the site began in October 1964, but the weather showed no mercy. Vast areas of the land were waterlogged at some point, which meant heavy machinery used to level the land churned up subsoil. Laying foundations for roads and slabbed areas became difficult, as did initial excavations of the lake. To make matters worse, the rubber sheets lining the lake would not stay in place due to the soaking wet conditions. They began to leak, resulting in the fire brigade having to empty the fledgling lake so the lining could be re-laid. 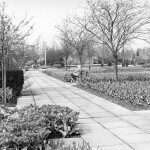 Things went from bad to worse, when snow in early 1965 meant the planting of thousands of trees and shrubs was delayed, and a number of trees were killed by frost – including an avenue of silver birch. The flower valley became completely immersed by water, and the restaurant fell foul of a miniature whirlwind, which swept down pillars on its terrace. Yet thanks to the dedication of those who shared the vision of Springfields, the project was completed on time, and is as much of a treasure and source of civic pride now as it was then. Since its opening, millions of people have enjoyed Springfields’ bulb displays, including Her Majesty Queen Elizabeth The Queen Mother, who dedicated a tree in 1986. Sadly all good things must come to an end, and in the 1990s the trustees of Springfields Horticultural Society recognised falling visitor and income levels meant it was becoming increasingly difficult to sustain the gardens. After carefully considering a number of options, a forward-thinking plan was agreed with development partner Thornfield Properties. 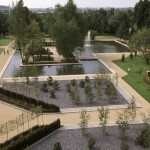 Almost ten years later the ambitious project was complete, and a £30 million development, reconstruction and re-landscaping programme led to the opening of Springfields Outlet Shopping and Festival Gardens in May 2004. In June of that year the project was given the royal seal of approval by HRH The Princess Royal, when she paid a visit and planted a tree. Not only has the new development meant a wealth of attractions for all ages. The development has also enabled Springfields Horticultural Society to continue its valuable work in promoting the bulb industry, which will continue long into the future.